By choosing to enlist DesignScape, our clients not only get assistance in creating a gorgeous landscape design, they also get assistance in finding and choosing the right contractor to begin the construction. Our landscape Designers will first meet with the Clients online to discuss the desired elements such as ponds, fire pits, fountains, gardens, play areas, decks, lighting arbors, patio covers, or any other enhancement they would like. At this point it is important to consider what they will be using the space for. If they entertain a lot in their yard it will have to be designed differently than if they just want a gorgeous landscape to enjoy from indoors. Once their wants have been established their needs can be addressed. Is space an issue? Can their neighbors see into their yard? Do they have excessive shade in one area that will prevent a garden? Where would the most convenient place be for an outdoor kitchen? 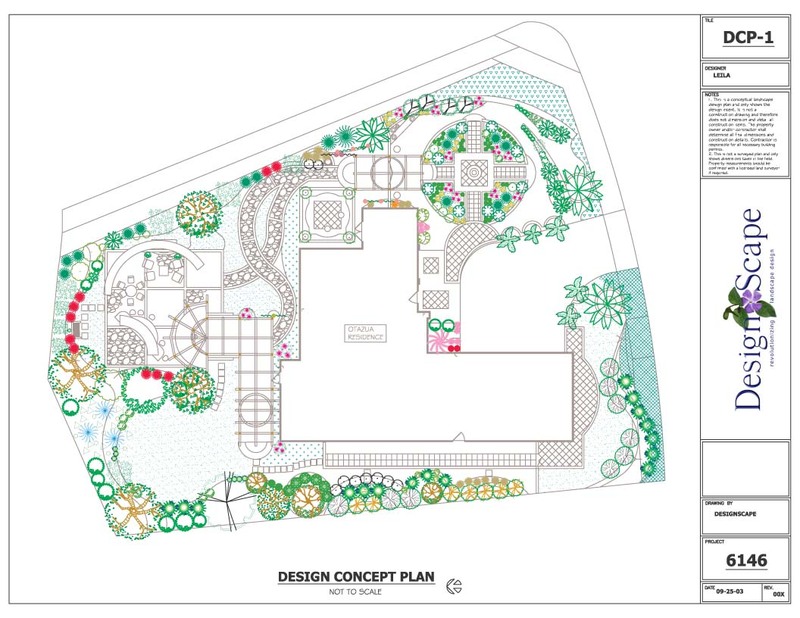 Throughout the process, a designer will plan to make it the most efficient, convenient, and beautiful place possible. Once this process is complete, the designing begins. Using Auto CAD® (computer aided design) a concept of their new plan is developed. The design is developed in layers to provide perspective. 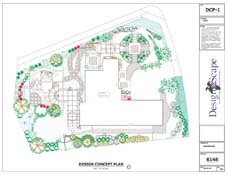 These layers as described in the following buttons include the design concept plan, hardscape concept plan, planting plan, plant legend, irrigation plan drainage plan, lighting plan, and concept elevations.